Make healthy, freshly prepared, gluten and dairy free meals. 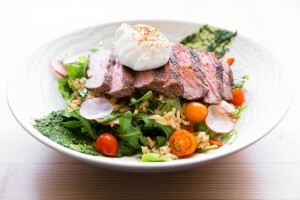 Flank steak, arugula, grape tomatoes, brown rice, chimichurri, grainy dijon, horseradish dressing and poached egg. 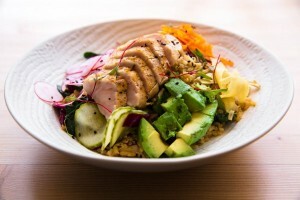 PNW albacore tuna, spicy brown rice, pickled cucumber, pickled ginger, carrots, red cabbage and ponzu. Flax bread, shaved vegetables, micro herbs and poached egg. 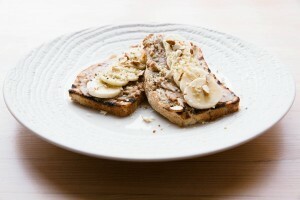 Flax bread, house almond butter, banana and hemp hearts. Espresso, oatmeal, blueberries, dates, cinnamon, nutmeg and almond milk. Bacon and Brussel Sprouts Hash. Smoky bacon, yams, caramelized onions, romesco, poached eggs. 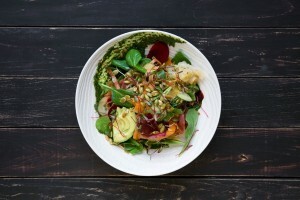 Shaved carrots, beets, radish, cucumber, alfalfa sprouts, pumpkin seeds, avocado, herb pesto, house kraut and apple mint dressing. 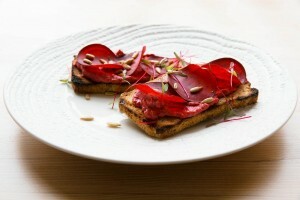 Flax bread, pickled cucumbers, beet greens. Fried egg, avocado, bacon, housemade cashew cheese and tomato jam, lettuce and gluten free bun. Roasted eggplant, fingerlings, bell peppers, spaghetti squash and poached eggs. Coconut yoghurt, maple syrup and bee pollen. Beet hummus, lentils, crispy chickpeas , arugula, tahini vinaigrette and harissa. Spicy pulled pork, charred corn, grilled lime, roasted peppers, pico de gallo and avocado lime dressing. Red cabbage, green garbanzos, fennel, lentils, raisins, castelvetranos, citrus vinaigrette, lentils and sunflower seeds. Southern spiced pulled pork, red cabbage slaw, pickled onions, grainy mustard, chipotle maple BBQ sauce and gluten free bun. Mango, orange, ginger, spinach, kale, turmeric, cayenne and lemon. Pineapple, orange, hemp, avocado, cashew, goji berries and lime. Spinach, apple, banana, mint, lime and bee pollen. Almond butter, hemp milk, banana, hemp, cocoa, dates and vanilla. Coconut milk, chai spice, almond butter, honey, chia and banana. Americano, organic almond milk, coconut oil, flax seed oil. with almond or coconut as an option.